It is with heavy hearts we share the passing of SHAWN ALLAN STANG at the age of 43. Shawn was born Oct 25, 1968, the son of Clarence and Armella Stang. Shawn attended Provost School from Gr 1-6 and completed 7-12 schooling in Macklin Sk. 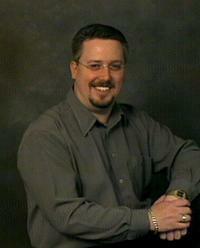 Shawn then completed his Business Administration Certificate in Moose Jaw Sk. Shawn continued his financial business career with companies such as RBC, Bank of Montreal, MNP and eventually became a resident in Swift Current Sask. It is here he met the love of his life Candy (Lummerding) and together they moved to Lethbridge AB in 2000. They married in 2004 and began their family in 2006 with the arrival of their son Deacon. Ty followed in 2009. Shawn began working independently as a consultant where he would foster his amazing business sense and developmental skills assisting at a fundamental level creating opportunities and success where ever he went. His most recent project was completed in 2008 with the opening of the Lethbridge Inland Terminal. Over the years Shawn initiated food drives, donated energy and resources to charities, community events and loved to volunteer his time especially with The Beaver Bingo’s. Shawn is known for his generosity, his passion for business, his love to his family and especially his sense of humor and friendship. He took pride in his children Mitchell, Deacon and Ty. Shawn is survived by his wife Candy his children Mitchell, Deacon and Ty, his parents Clarence and Armella Stang and his two sisters Lori, and her children Brittney (DeeJay) Gavin (Elicia) Michelle (Darvin). Myrna (Darin), Allysa (Troy) Gracie, Zachery. Auston. His in-laws Sandy (Greg) and Dusty, his sister-in-law Connie, Roxanne (Craig) Tracey (Calvin) and brother-in-law Allan (Karen) Ted (Simone). A special thank you for the endless friendships Shawn has made over the years as he has touched so many with his smile and laugh. The family would like to thank everyone for their kindness and prayers over the last 3 years as Shawn battled pancreatic cancer. God Bless you everyone. A Funeral Mass will be celebrated at ST. MARY’S CATHOLIC CHURCH, 4805-Express Avenue, Macklin, SK on Monday, September 3, 2012 at 10:30 A.M. In lieu of flowers, donations will be accepted in Shawn’s memory to the Canadian Cancer Society, 317-10th Street South, Lethbridge, AB T1J 2M7 or the Deacon/Ty trust fund with the Scotia Bank. …He really made us laugh! Sorrow is not forever… Love is! and caring with a touch of mischief! To remember a dear cousin whom we loved and shared by all. He had a kind heart, love of family and friends whom cared about him dearly. He was taken to Heaven to early and we won’t know why but God works in ways we will never know. Have faith, prayer and goodness to shine on. He will be dearly missed and thought of. Shawn, you are awesome and the will too do all. May you rest with peace and no pain. Love ya lotsa and will smile everytime we think of you. You were only 7mo. older then me and Andrej but one awesome man to know and love and share all. God Bless! May your wife and children try to move on and remember the good and not the bad and make you proud as you watch from Heaven now. We love you and will be missed.